Synopsis: Based on Ian McEwan’s novel. In England in 1962, a young couple finds their idyllic romance colliding with issues of sexual freedom and societal pressure, leading to an awkward and fateful wedding night. Thoughts: Seems to me that Saoirse Ronan is getting a bit greedy. Her Best Actress Oscar run for Lady Bird isn’t even rounding third yet and she’s already marking her territory for next year with On Chesil Beach. In all seriousness, Ronan has proven to be a smart actress with a talent for finding projects with characters that have real dimension to them. After earning her first Oscar nomination with Ian McEwan’s Atonement, the actress takes on another McEwan project and it looks like an interesting slice of life tale costarring Emily Watson (The Theory of Everything) and Billy Howle (Dunkirk). 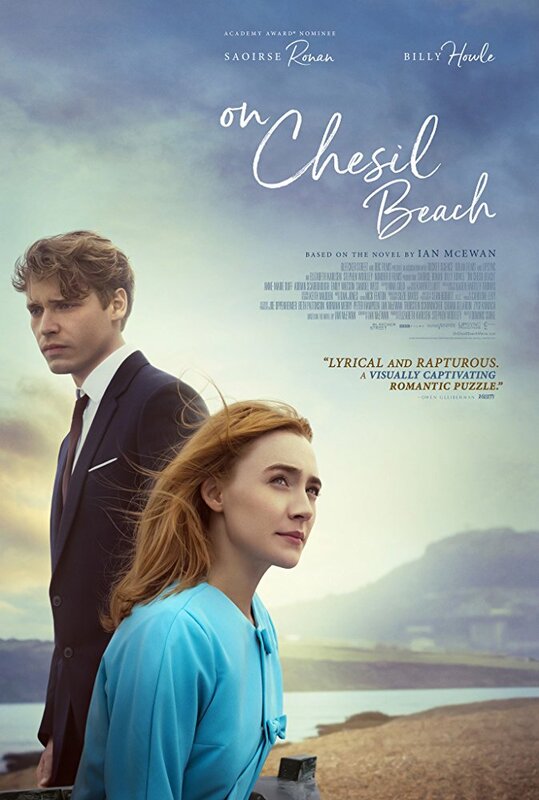 I’m not quite sure where the movie is going but I’m game for a day at Chesil Beach if Ronan is leading the way.